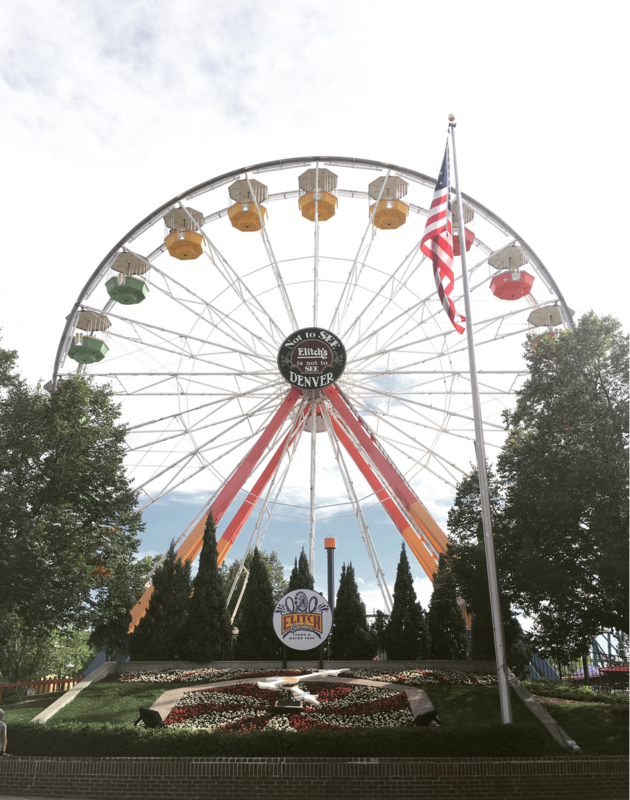 Every time we drive downtown we can spy the roller coasters and ferris wheel at Elitch Gardens in Denver. The kids ohhh and ahhh, but we had never gone until a couple of weeks ago. It was a day full of family fun! 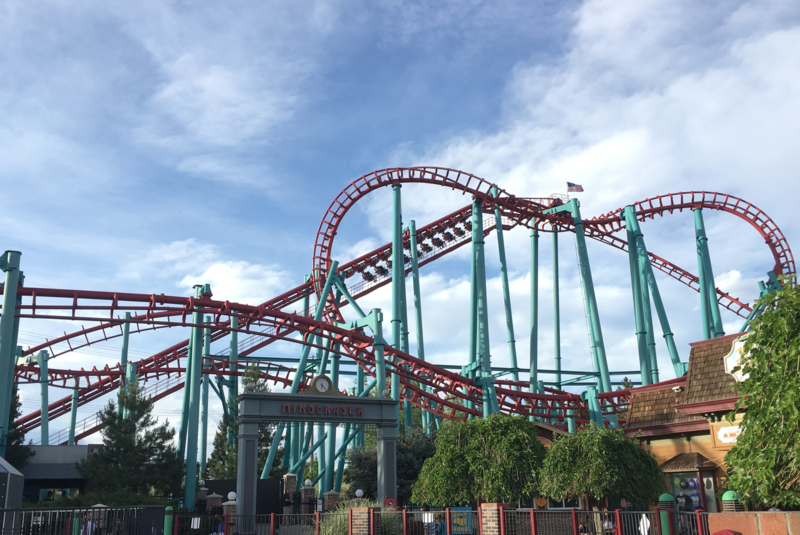 What is special about Elitch is that it is a Theme Park AND a Water Park! Your one ticket lets you visit both sides. We started the day at the water park and splurged on a shaded cabana since we knew it was going to be a long day. It had a great view overlooking Commotion Ocean, the wave pool. 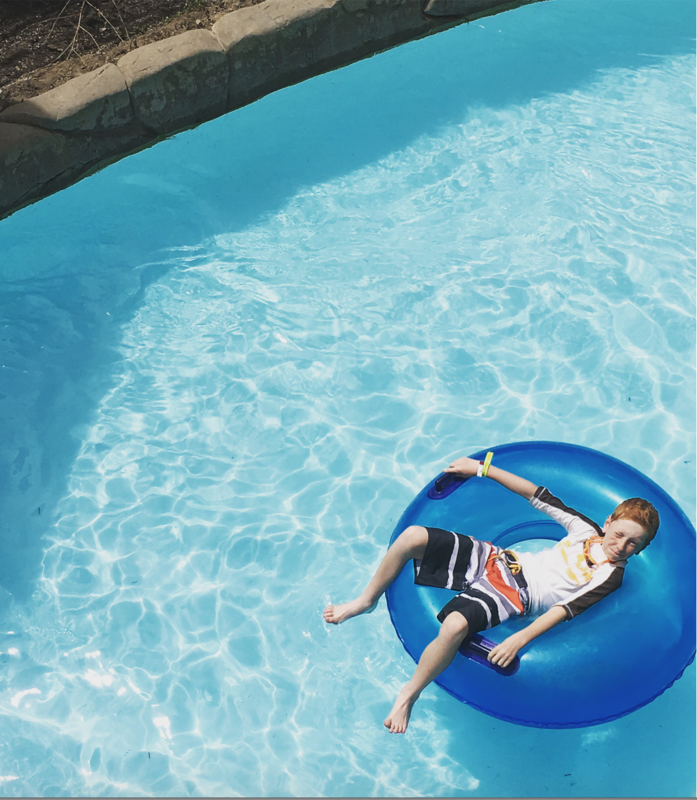 Our family favorite to do together was the Castaway Creek lazy river. It was nice and relaxing with just enough water spurts to maybe get wet along the way. We love family rides that we can do together and one ride I wanted to do most was Splashdown, the family raft ride. Unfortunately it was closed most of the day and we didn’t get to try it. Three of us were able to do Gangplanks (up to 4 can ride) and it was short, but thrilling because you couldn’t see anything inside the tube! The individual (or double!) raft rides are always fun and Cannonball Falls had four slides. We tried them all! This below was the RipQurl and Mega Wedgie. 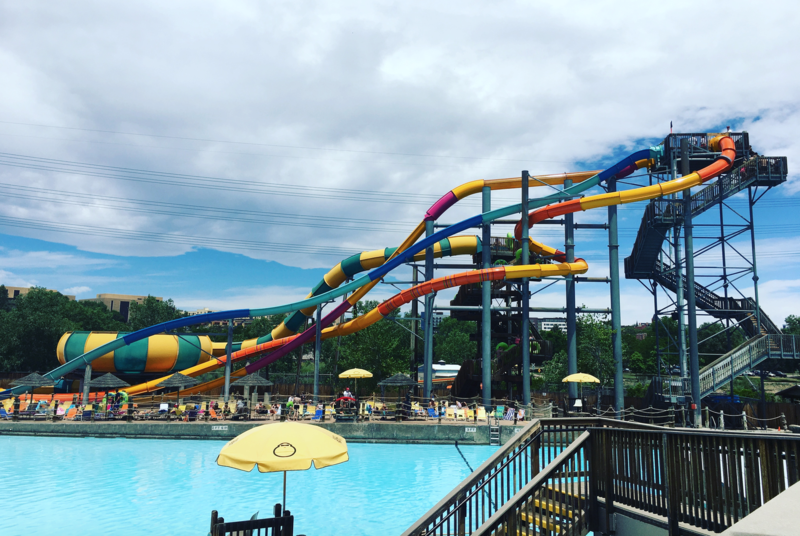 The Mega Wedgie is brand new this year and features three, six-story racing slides. For some reason we never made it over there, though we watched from afar in our cabana and they looked super fun. The kids area, Hook’s Lagoon, was cute and my youngest spent a lot of time there. While he really did enjoy the bigger, but simple Cannonball Falls slides, these were small and nice. A great way to start off. 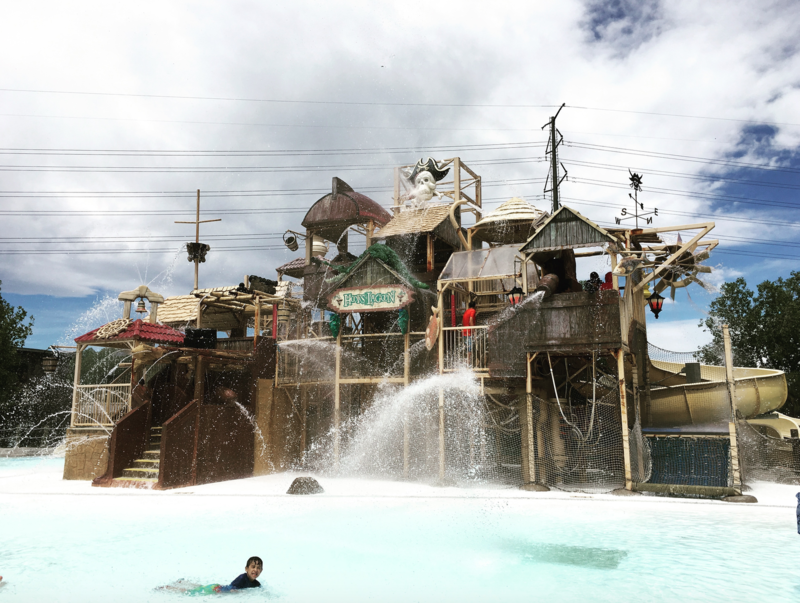 Plus just look at the adventure you get to go through to reach the slides! It was late afternoon / early evening when we decided to change clothes and head over to the Theme Park side. I stashed our swim gear in the car and put on my walking shoes. It was time for more adventure! KiddieLand was the first section of the part and I almost thought we weren’t going to get out of there. Pint sized rides that my 7yr old loved. He even went on his first roller coaster! Our favorite rides were the ones that spin in different directions, but as we got closer to Mind Eraser, the monster suspended coaster, it was discussed who was going to ride with Hubby. Me or C’Man. C’Man decided to be the brave one. Phew for me! 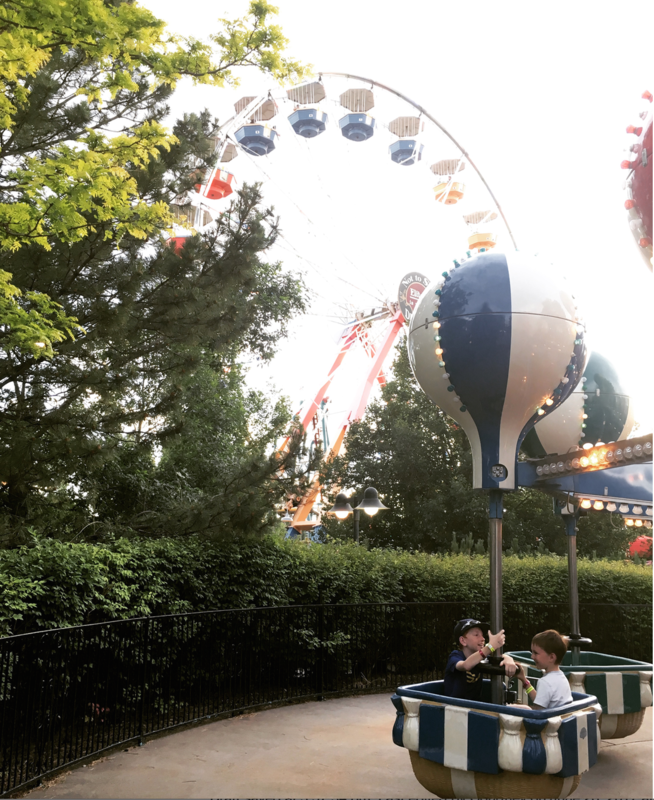 We were exhausted by this point and didn’t get to many of the rides towards the back of the park that sounded fun – two more water rides, a world class wooden coaster, and Star Flyer, the new 50mph and 17 story flying swings. I loved the views from the Big Wheel ferris wheel. That is the Broncos stadium over there! Couldn’t bring your own food or drinks in so you have to buy theirs. This is a huge ugh! When you spend ALL day there you get hungry and very thirsty! But I have one child that has a special diet and they did let us bring in our own for him so that is great. The water was freezing cold, even in the kid’s area. We’ve had some really hot days here since then so I bet it is better now as the season goes on. Rapid Pass which lets you skip to the head of the line is GREAT, but we do the smaller rides which it does not work on. Maybe because they aren’t supposed to be as crowded? 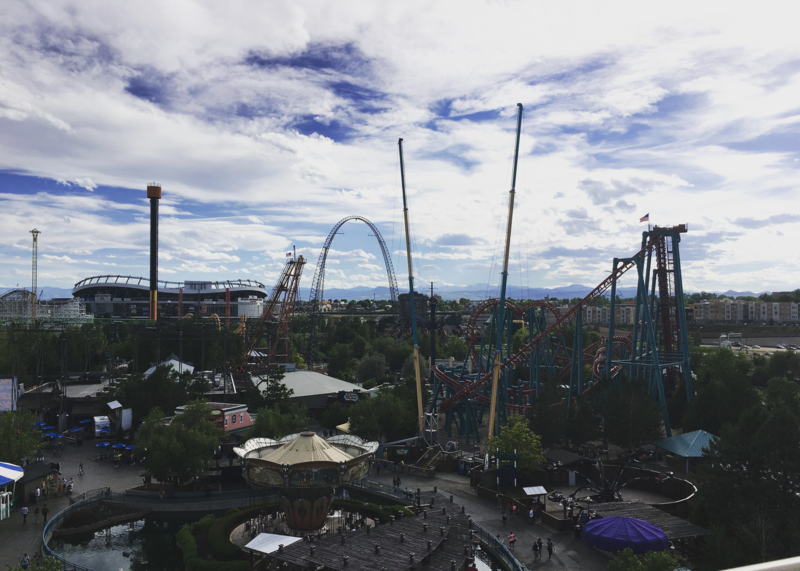 I’m sure Elitch Gardens in Denver will become a yearly tradition in our family. So much fun! Have you been to this theme park? Or will you be visiting Denver soon? 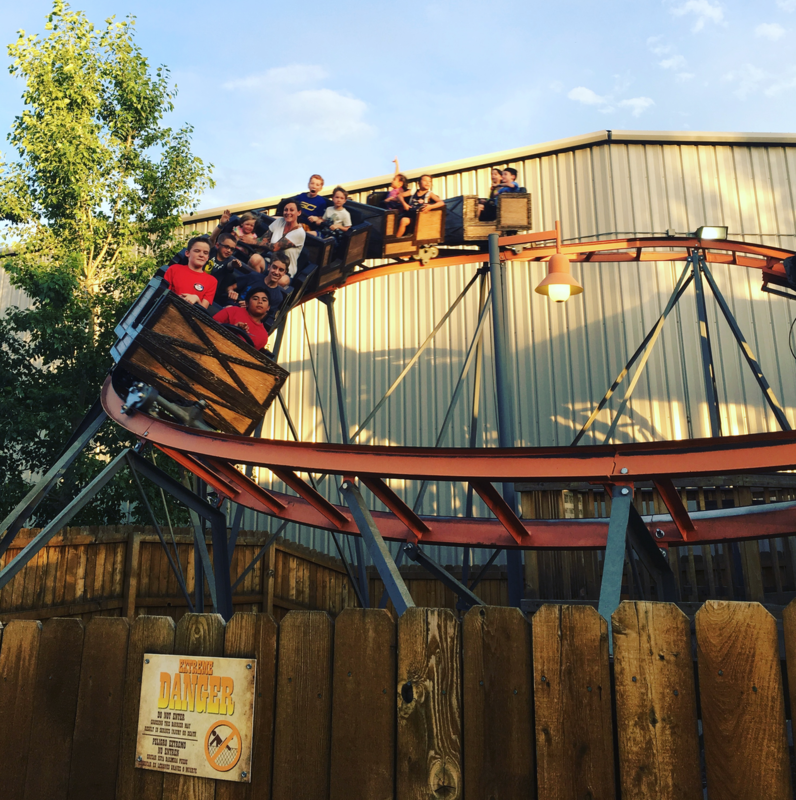 I partnered with Elitch Gardens in Denver Theme and Water Park to write this post in exchange for free tickets. All opinions definitely my own. I think this is cool. I can't believe they have this fun water park and theme park right in Denver. 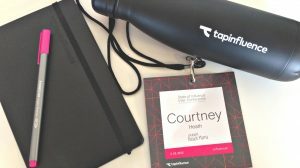 Thanks for sharing your photos and experience. I'd love to go with my kids! Oh wow, what a great time! 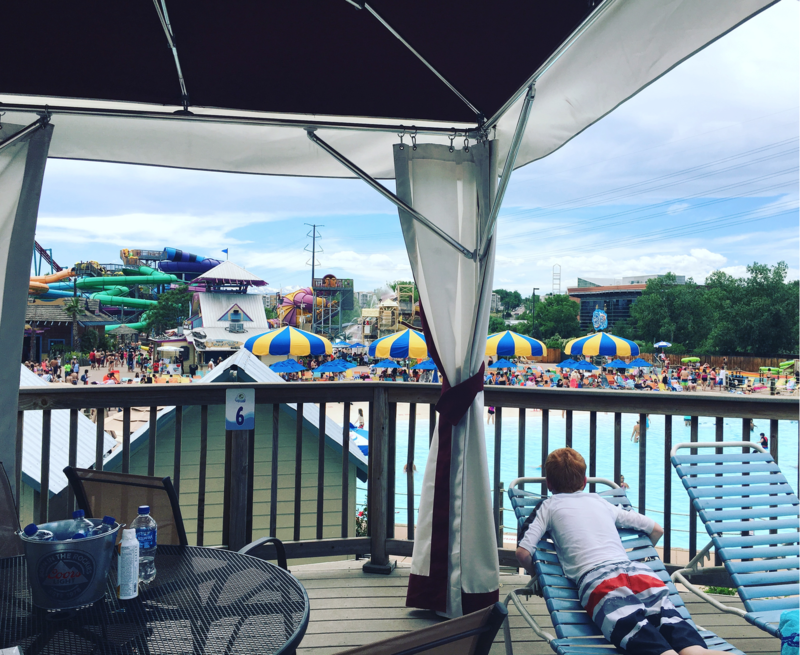 I love all those water rides, and i agree, it's awesome when families can ride together! Great pics!! !